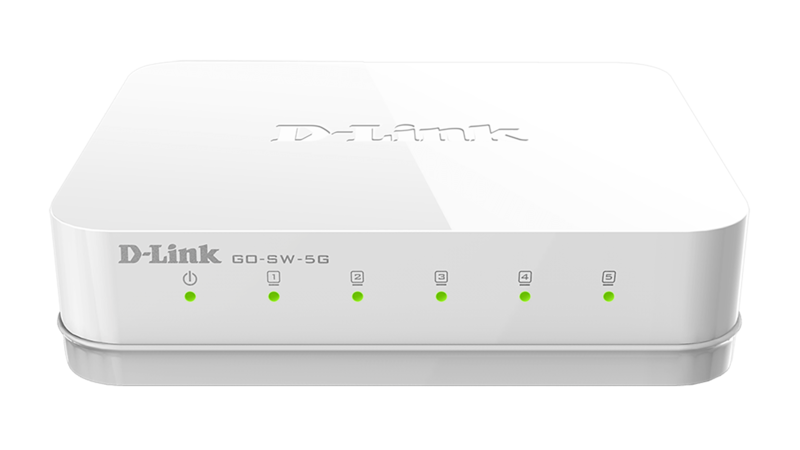 The dlinkgo 5-Port Gigabit Easy Desktop Switch (GO-SW-5G) offers an economical way for SOHO and small to medium businesses benefit from the increased bandwidth of Gigabit Ethernet. It provides Gigabit ports for easy expansion of your network and a quick way to upgrade your network to Gigabit connectivity. 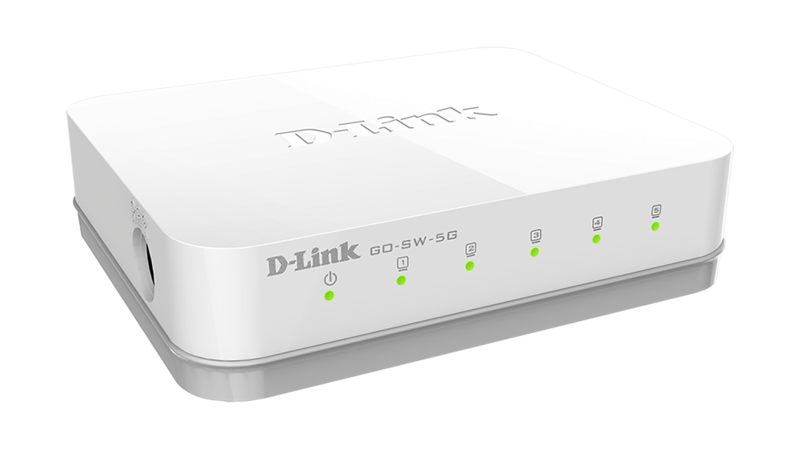 The dlinkgo GO-SW-5G 5-Port Gigabit Easy Desktop Switch is part of D-Link’s new series of SOHO devices that make use of D-Link’s Green Technology, providing energy savings, reduced heat, and a longer product life without sacrificing performance or functionality. 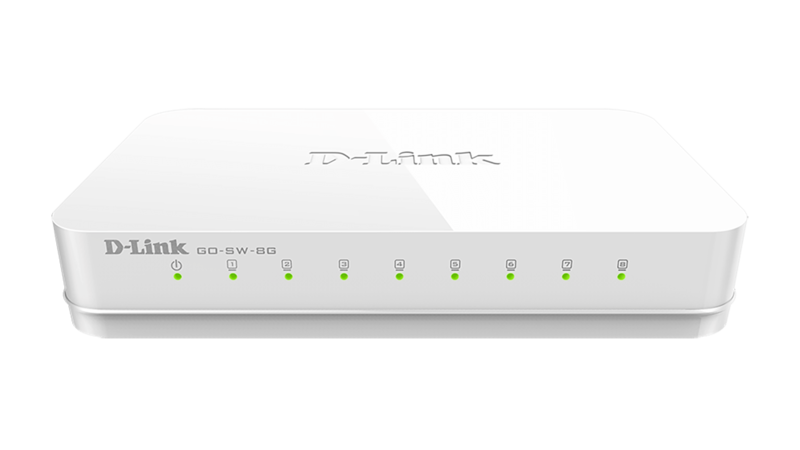 It provides five Gigabit ports for easy expansion of your network and a quick way to upgrade your network to Gigabit connectivity. An energy-efficient power adapter (Energy Star Level VI qualified), minimised use of harmful substances (RoHS compliant), and recyclable packaging make this switch truly environmentally friendly. 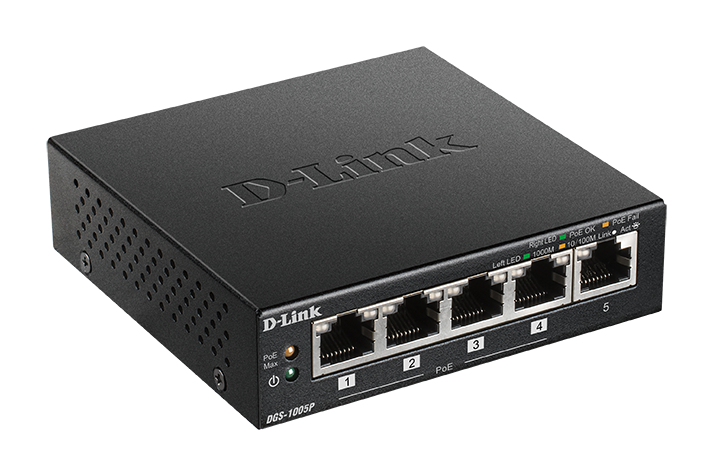 The D-Link GO-SW-5G 5-Port Gigabit Easy Desktop Switch creates a blazing fast network for your office, as its Gigabit Ethernet ports provide high-speed wired connections for up to five PCs or other devices. 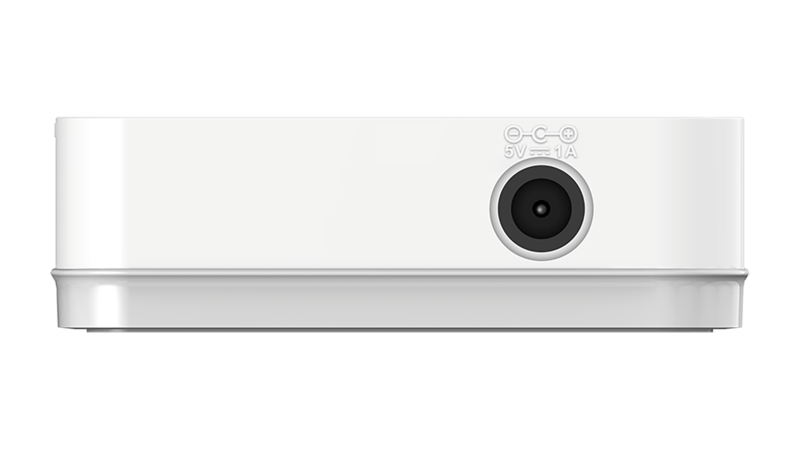 The GO-SW-5G also features QoS, which prioritises network traffic so that time-sensitive data is delivered efficiently, even during bursts of high data traffic. Finally, plug and play support makes setup a breeze. 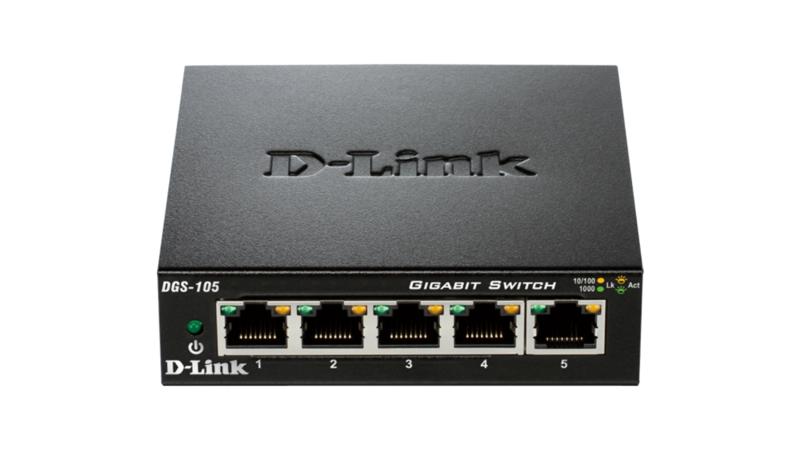 The 5-Port Gigabit Easy Desktop Switch helps you conserve energy automatically through several methods. The switch supports IEEE 802.3az Energy-Efficient Ethernet (EEE) which cuts down on power consumption during periods of low data activity and will proceed to put the unused port into sleep mode, saving a substantial amount of power. It also adjusts the amount of power supplied to a port according to the length of the connected Ethernet cable. 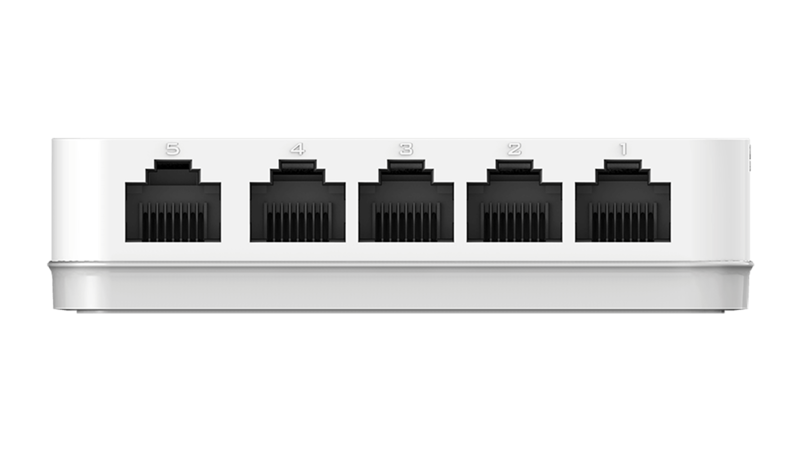 The 5-Port Gigabit Easy Desktop Switch was designed with the environment in mind and is compliant with Energy Star Level VI, as well as with the stringent CEC and MEPS regulations that require the use of energy efficient power adapters. The switch is also built to follow RoHS standards to minimise the use of hazardous materials and uses recyclable packaging that helps reduce waste, complying with the WEEE directive.